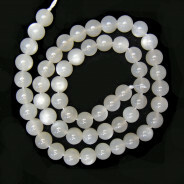 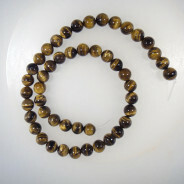 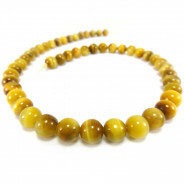 Hawk's Eye Gemstone Round 8mm Beads (~50pce Strand) - 40cm/16'" Strand. 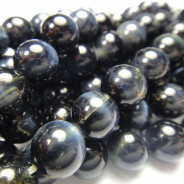 Hawk's Eye is a blue-grey variety of cats eye quartz. 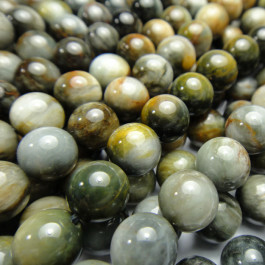 Like its cousin "Tiger’s Eye" Hawk's eye has the rare phenomenon of Chatoyancy caused by tiny inline fibrous needles within the crystal structure which causes light to reflect in a linear pattern.